The natural beauty of the Gorges, its magnificent waterfalls and sparkling rock pools make the Karijini National Park, a must visit destination for all visitors to Western Australia. Karijini is the second largest national park in western Australia. The gorges are overwhelming. 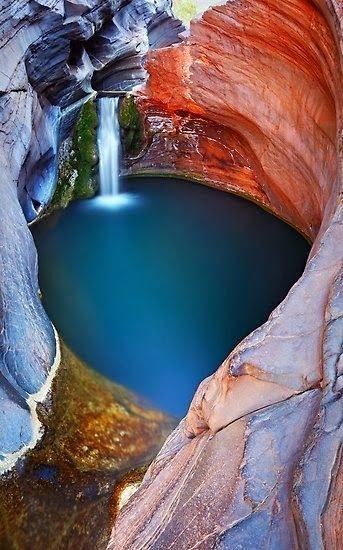 Karijini also has some spectacular Waterfalls and Pools, such as the Joffre Falls, Fortescue Falls and Falls and Fern Pool. The Jacob's Well - Wimberley, Texas!! !